Rwanda is famous for being one of the only places on Earth where you can get up close and personal with endangered mountain gorillas. While bushwhacking through Volcanoes National Park in search of the almighty silverback is an incredible experience, it’s also prohibitively expensive and only begins to reflect the epicness that Rwanda has in store for visitors. Whether you’re looking to round out your itinerary or find alternatives to gorilla trekking altogether, consider these nine adventures for the ultimate Rwandan vacation. 1. See the Big Five on a safari in Akagera National Park. With all the hype surrounding gorilla and golden-monkey safaris in Rwanda, it’s easy to overlook the fact that you can also see the Big Five and other classic safari animals like cheetahs, hippos, and giraffes roaming about in Akagera National Park much like they do in neighboring Tanzania’s Serengeti. For the most authentic experience, book a stay at the Akagera Game Lodge. It’s the only lodge located within the park and sits just three miles from the south entrance. Rooms range from $115/night during the low season between April and May, to $140/night during the peak seasons of June through August and December. Breakfast is included. 2. Mountain bike, hike, or kayak along the Congo Nile Trail. This roughly 140-mile trail is one of the top mountain-biking routes in all of East Africa. The Congo Nile Trail can be done in full in five days via mountain bike, eight days via kayak, or 10 days on foot, as well as broken up into smaller sections as you please. You’ll weave through rolling hills, rural villages, tea plantations, and even Nyungwe National Forest Park while following the trail. There are several serviced campsites along the way and a few simple accommodations if camping isn’t your speed. And if all you want to worry about is the wind at your back and the vistas in the distance, you can arrange to go with guides, porters, and cooks who will take care of pretty much everything except pedaling. 3. 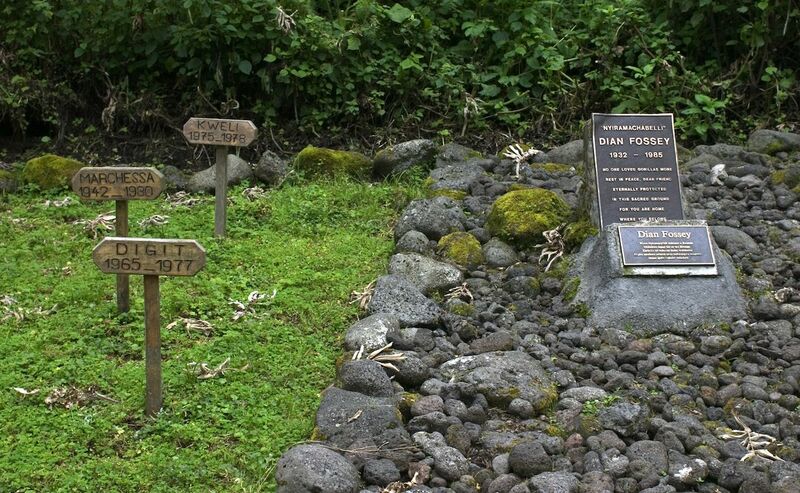 Hike to Dian Fossey’s grave in Volcanoes National Park. Renowned primatologist Dian Fossey dedicated much of her life to studying mountain gorillas before she was killed in her cabin in the Virunga Mountains by what many suspect were the very poachers that endangered her research subjects. Fossey was buried in Volcanoes National Park in 1985 alongside a number of her ape friends, and today, her grave marks the endpoint of a popular hike for park visitors. It’s a relatively tricky and undoubtedly muddy trek to reach Fossey’s burial site, so come prepared with sturdy, broken-in hiking boots and cover up in clothes that can get dirty. You’ll need a permit to enter the park, which you can either get in Kigali or at the park’s headquarters in Kinigi for around $75. There’s also a decent chance you’ll get to see gorillas in their natural habitat while you walk, so this particular excursion doubles as a budget option for those hoping to see the great apes without committing their wallets to a full-on, multi-day safari. 4. Pitch a tent on the shores of Lake Burera. 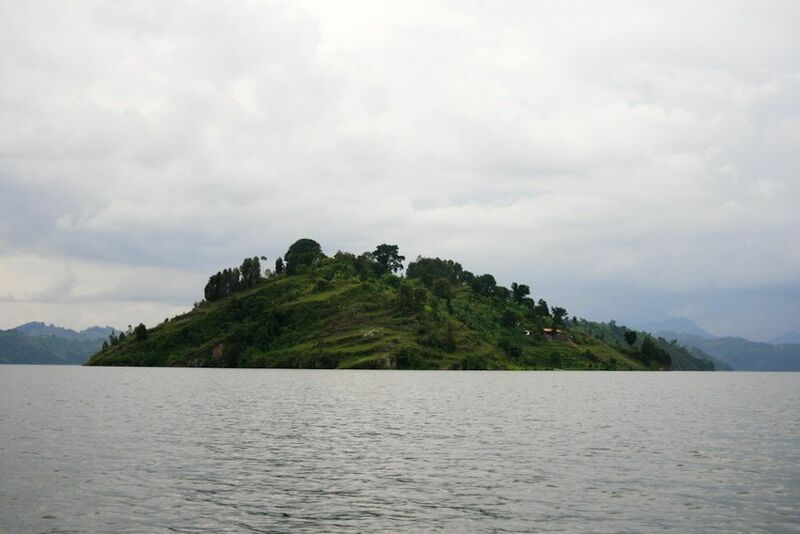 Together with Lake Ruhondo, Lake Burera represents Rwanda’s scenic Twin Lakes region. Hiking is an excellent way to take in the views, but spending your days meandering around the lush landscape and your nights camping lakeside is even better. One of the best places to pitch your tent is on Cyuza Island, which sits in the middle of Lake Burera and gazes up at Mount Muhabura. 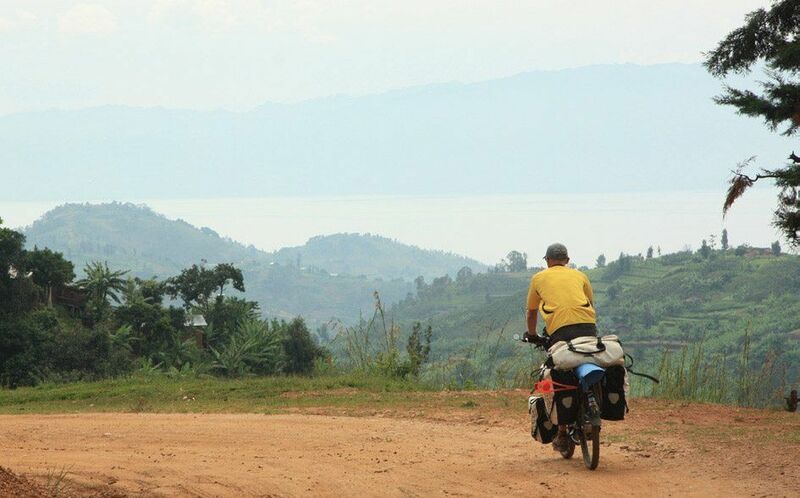 The island is owned by a woman who also runs the La Paillotte hotel and restaurant in Musanze, where you’ll check in before catching a boat from nearby Rugarama. It isn’t the most convenient journey in the world, but after that first night of stargazing and feeling like you have the lake all to yourself, you’ll realize that it’s totally worth it. 5. 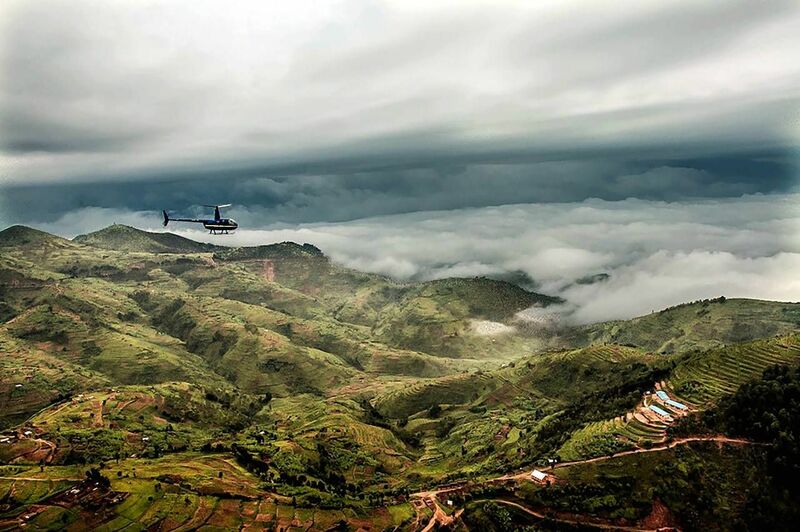 Get a bird’s-eye view of the Land of a Thousand Hills on a helicopter tour. Akagera Aviation offers helicopter tours of Rwanda that last anywhere from 30 minutes to two hours and cost anywhere from $500 to $5,000, depending on the route and the length of your excursion. Each of the company’s eight scenic tours flies over some combination of Rwanda’s greatest hits, including the Virunga volcano chain, Twin Lakes region, and Nyungwe. You’re also guaranteed to get a good look at Kigali considering the flights take off and land at Kigali International Airport. 6. Check out the crater lake at the summit of Mount Bisoke. Eight volcanoes make up the Virunga Mountain range, five of which are located in Rwanda’s Volcanoes National Park. While not the tallest — that title belongs to Mount Karisimbi — Mount Bisoke reaches an impressive elevation of 12,1275 feet and is the preferred climb for hikers of all experience levels. It takes roughly six hours round trip to summit, but experienced trekkers can probably get up and back in half that time. 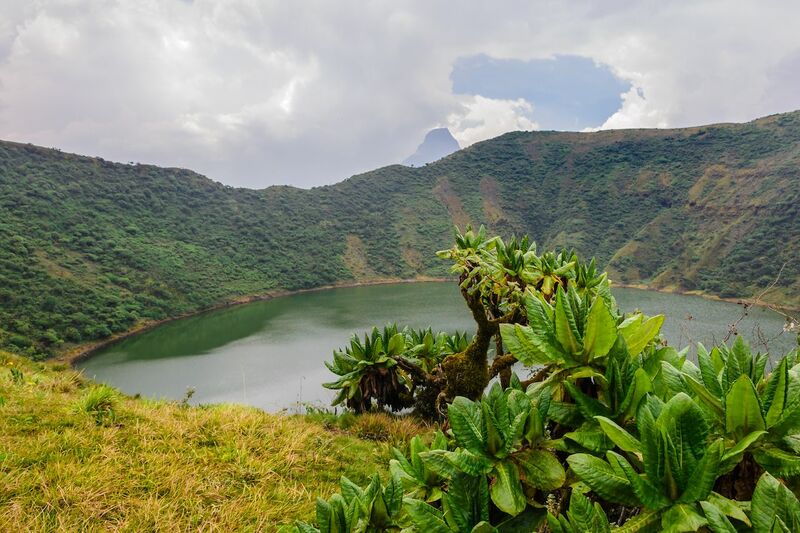 While you’re welcome to climb Rwanda’s other volcanic peaks, none is as picturesque as Mount Bisoke with its photogenic crater lake. Just note that swimming is strictly prohibited no matter how sweaty you are after reaching the top. 7. Flex your water-sports muscles on Lake Kivu. The largest body of water in landlocked Rwanda and one of the African Great Lakes, this natural treasure is great not only for sunbathers and swimmers — don’t worry, you won’t find any crocs or hippos here — but also water skiers, windsurfers, and paddle-boarders. 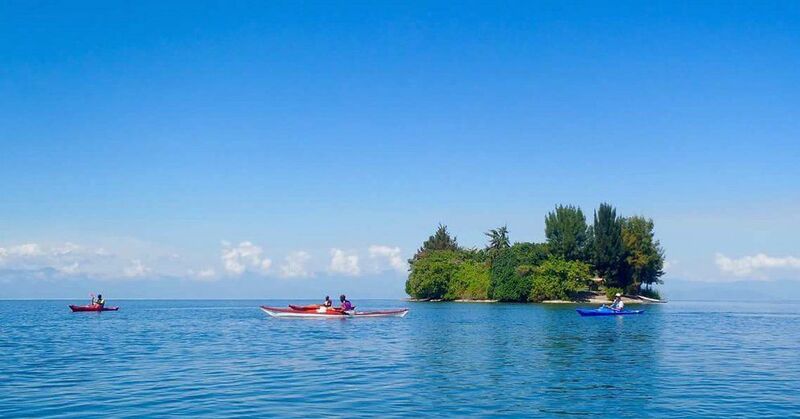 Lake Kivu has come to be known as Rwanda’s Costa del Sol because of its laid-back vibe, so even those unskilled at water sports can go fishing, book a boat cruise, or simply kick back with a beer and get some quality Rwandan R&R. Plan to stay for a few days if you’re coming from the capital as the lake sits a few hours outside of Kigali. 8. Grab your binoculars and go birding around the Albertine Rift. 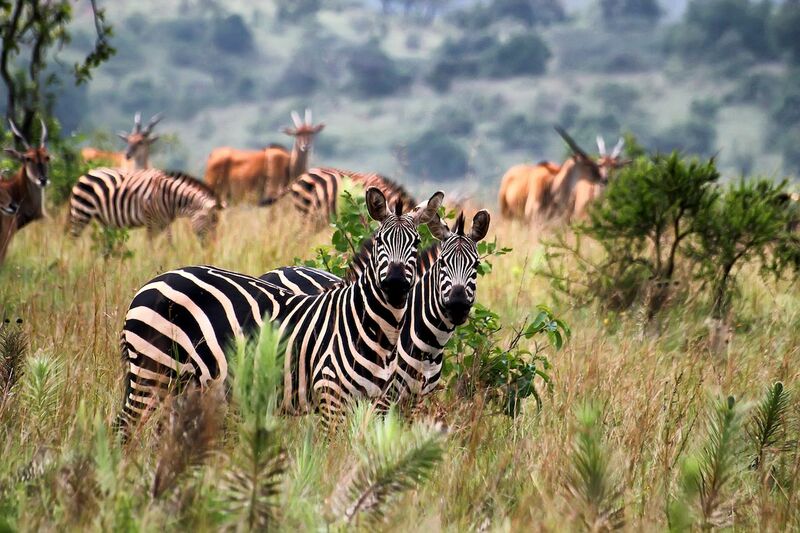 The Albertine Rift spans much of East Africa and houses an incredible array of biodiversity. Birdlife is particularly prolific, making Rwanda and the rift’s other host countries some of the best places in Africa for birdwatching. Hundreds of species soar over the Albertine Rift year round, and just under 30 are endemic to the region. 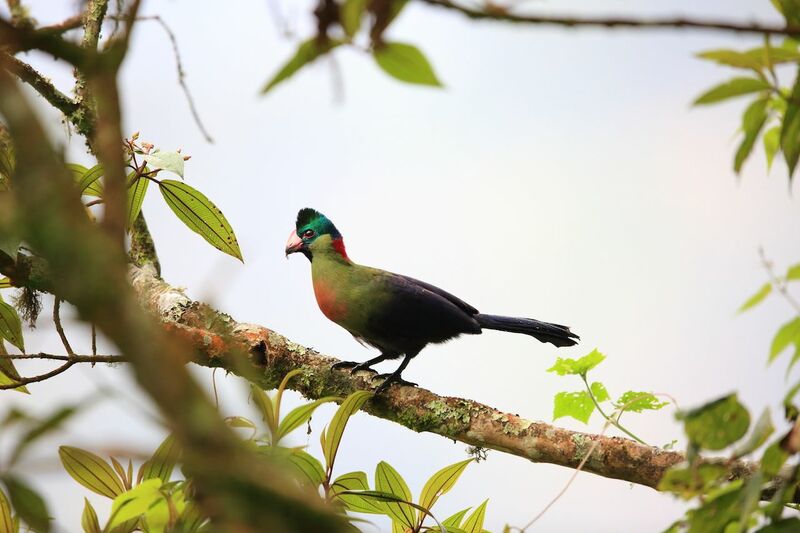 There are seven Important Bird Areas scattered throughout Rwanda, but your best bet is without a doubt the Nyungwe National Forest Park. You can even arrange a $60/person canopy walk at the park’s reception center for the chance to be eye level with the treeline and see not only spectacular avian species, but also monkeys and other creatures up close. 9. Wind your way through the Musanze Caves. Snaking just over a mile beneath Rwanda’s bright green countryside, the Musanze Caves are located on the outskirts of Ruhengeri, the capital of the Musanze district. Visitors have been invited to explore and say hello to the resident bat population since 2013, and the place has been outfitted with paved paths, trails, and staircases to make it more navigable. While not the most action-packed excursion on this list, touring the Musanze Caves is an absolute must for geology buffs and anyone else with an afternoon to spare.